Vinyl garage doors are a top choice for many homeowners who want durable doors with visual appeal. At Pros On Call, we are proud to provide repairs, maintenance services, and vinyl garage door installation. Consider some of the benefits of owning vinyl garage doors as well as how our friendly, courteous technicians can help you keep your garage doors in tip-top shape. 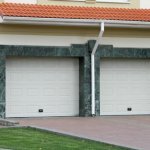 Get New Attractive Garage Door Today! Vinyl garage doors are a top choice for many homeowners who want durable doors with visual appeal. At Pros On Call, we are proud to provide repairs, maintenance services, and vinyl garage door installation. 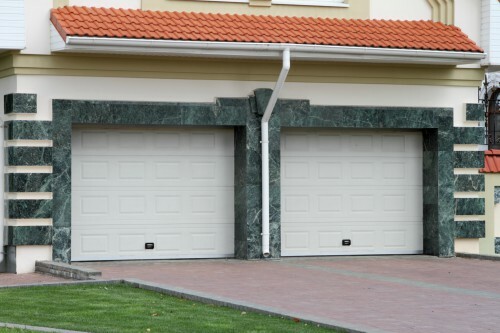 Consider some of the benefits of owning vinyl garage doors as well as how our friendly, courteous technicians can help you keep your garage doors in tip-top shape. One of the biggest benefits of having a vinyl garage door is they are easy to clean and maintain. This means you can have a beautiful garage door without dedicating a lot of time to its maintenance. The vinyl material is also weather resistant. It can endure snow, hail, rain storms, and even harsh sunlight while still looking its best. Many people appreciate the variety of styles and colors of vinyl garage doors. Our customers can order new vinyl garage doors that coordinate with the appearance of their home or other outdoor buildings. Our vinyl garage door services include repair work. For instance, if you have a broken spring or cable on your door, our professional technicians have the equipment and training to make the repair safely and efficiently. We can repair broken garage door remotes, adjust the door’s alignment, repair the seal and more. Just give us a call and let us know how we can help. Are you tired of looking at your old garage door? Maybe you’re thinking about a vinyl garage door replacement. We give you a choice of brand name garage doors such as Clopay, Wayne-Dalton, Sears, Martin, Windsor Republic and others. We make sure you get a garage door made by a reliable manufacturer. Even vinyl garage doors need some maintenance. Tightening hardware, inspecting rollers, lubricating moving parts, and cable inspection, are just a few common maintenance practices. At Pros On Call, we can take over the regular maintenance on your garage door so you know it will always be in excellent working order. We provide emergency services such as fixing a door that won’t open or close as well as tending to damage caused by a car or other vehicle. So, next time your vinyl garage door needs regular maintenance or repair give us a call. Or, if you’re thinking about a new vinyl garage door, we can help you choose one that fits into your budget. Contact Pros On Call today for all of your garage door installation needs! Vinyl Garage Doors https://prosoncall.com/garage-doors/installation/vinyl/ 4.1/5 based upon 25 reviews.